Aluminum foam is a new material that has only recently become popular. It has many advantages and it can be used with many applications in our production and life. Does aluminum foam can save money? And how? The following examples will give you some tips. First of all, if you are an expert in the construction industry, you understand that how to choose building materials is very important, there are many types of building materials, each material has own advantages and disadvantages, and some properties of materials are very similar to each other. 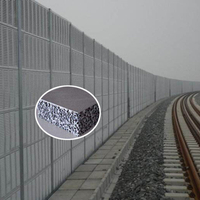 One of the characteristics of aluminum foam is that it is very light in weight, but it is not as fragile as foam, and the aluminum alloy has a bending resistance ratio of 1.5 times that of steel and has a very high rigidity. Aluminum foam can be used for cutting and drilling. Cemented and extruded into various shapes, it can be surface treated like ordinary aluminum, and can also be made into a large-sized lightweight high-rigidity plate; due to its light weight, aluminum foam material can be easily installed at high places without Any mechanical lifting equipment, which also allows direct use of adhesive to paste on the ceiling and wall, it really can help you reduce labor, material and other costs, which means, saving your money. Secondly, we know that the most abundant metal element in nature is aluminum, it is not a rare metal, so in the future, under the premise of mature technology, aluminum foam will certainly be an economical material. Since aluminum is very abundant in the earth's crust and has many advantages over other metal elements, aluminum will have extremely broad application prospects in the future. The use of aluminum foam to make parts of the vehicles will greatly reduce the weight of the vehicles and thus save fuel energy. For example, some countries have begun to use aluminum foam to produce parts of cargo ships, which has greatly reduced the weight of cargo ships, increased speed, and speed up the transportation. Of course, the example of foam aluminum used in cars, motorcycles, and space shuttles is even more. These are all indirect to save people money. Finally, aluminum foam is a kind of green material that is non-polluting and also can be recycled. This can bring you intangible wealth, because environmental pollution itself is a damage to your economy. The environment is an intangible economy. We believe that aluminum foam will definitely help you to save money, as long as you can understand its specificity.